Te Papa Museum, Wellington, New Zealand. 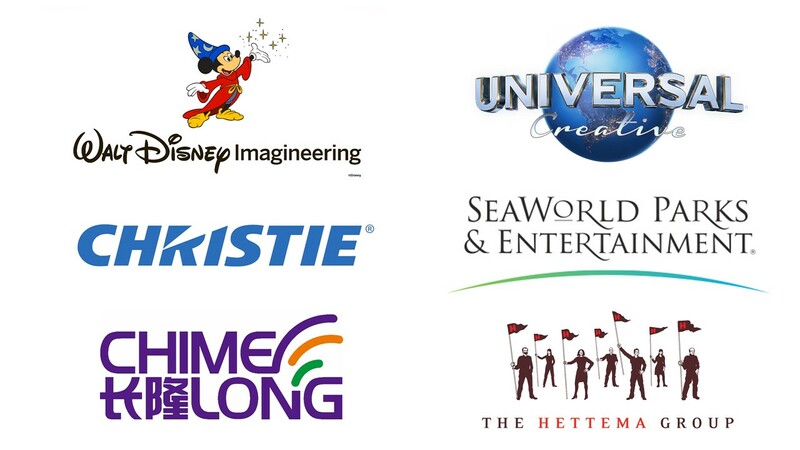 Global top entertainment operators, creatives, brand managers and leading IPs - including Joe Rohde (Disney), Sir Richard Taylor (Weta Workshop), Jonathan Linn (Universal Parks & Resorts/DreamWorks Animation), Chimelong Group (China), Smithsonian, Dubai Parks & Resorts, Knott’s Berry Farm, Efteling, Jameson, Marvel (Guardians of the Galaxy), AVATAR and Frozen are among those represented at TEA Thea Case Studies Day 2018, organized by the Themed Entertainment Association (TEA), April 6, and followed by the TEA Thea Awards Gala April 7; both events hosted at Disneyland Resort, Anaheim. 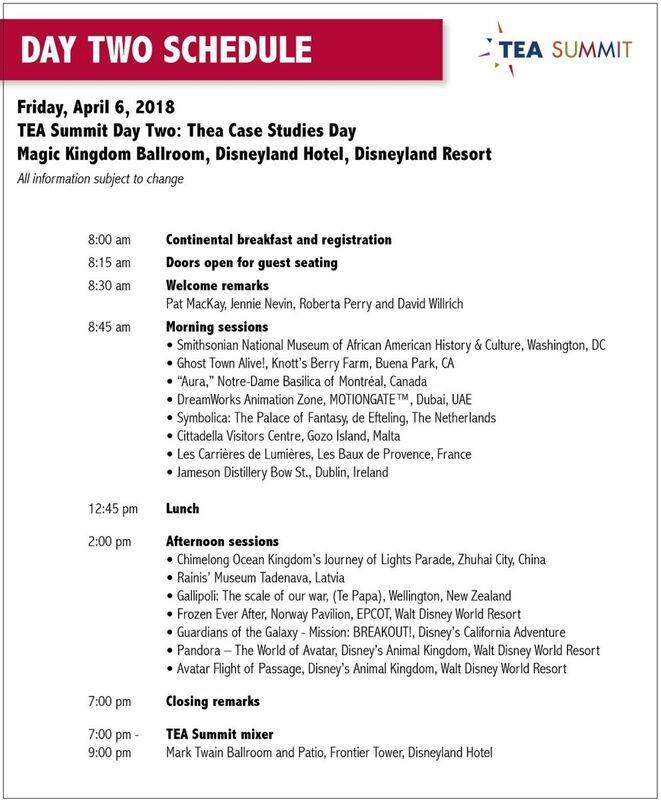 Thea Case Studies Day 2018 spotlights 15 of the new TEA Thea Award recipients and comprises the second day of the two-day, annual TEA Summit (April 5-6, 2018) - which is followed by the 24th annual TEA Thea Awards Gala, presented by Chimelong (April 7, 2018). 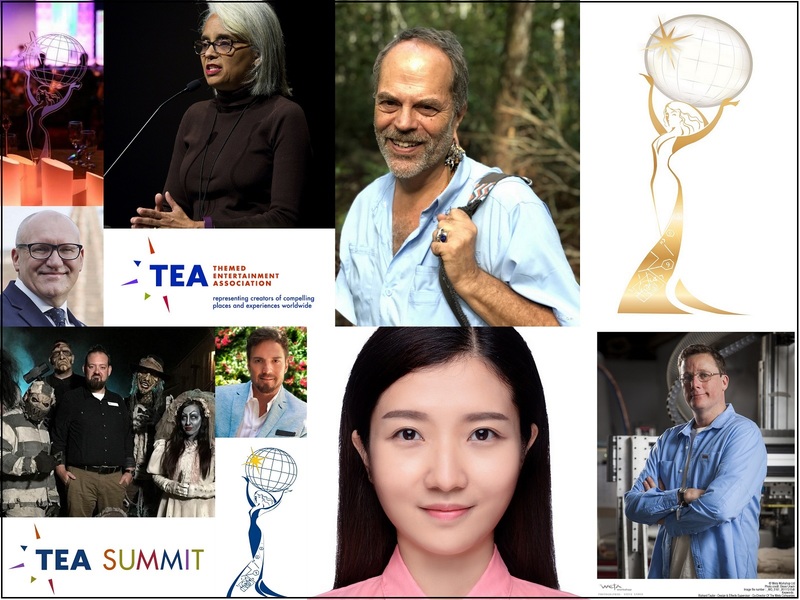 Taken together, the TEA Summit and Thea Awards Gala (April 5-7, 2018) are one big weekend of professional development, networking, education and celebration, revolving around the current slate of TEA Thea Awards recipients, and bringing together hundreds of entertainment professionals from around the globe. This big weekend of events is headlined by the best of the global themed entertainment business - industry superstars, creative and tech pioneers, and top projects all leading the way for international tourism and real estate development. 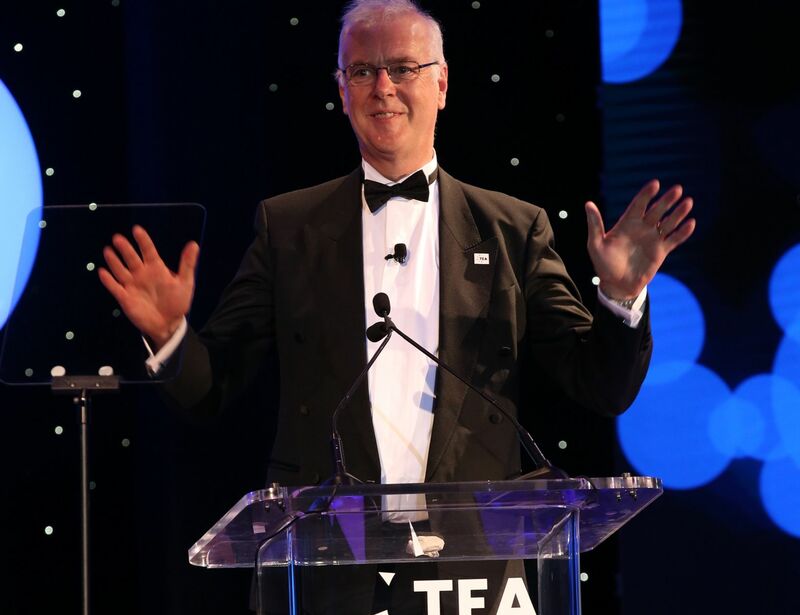 TEA's annual Thea Awards are considered the highest honor of the themed entertainment industry. 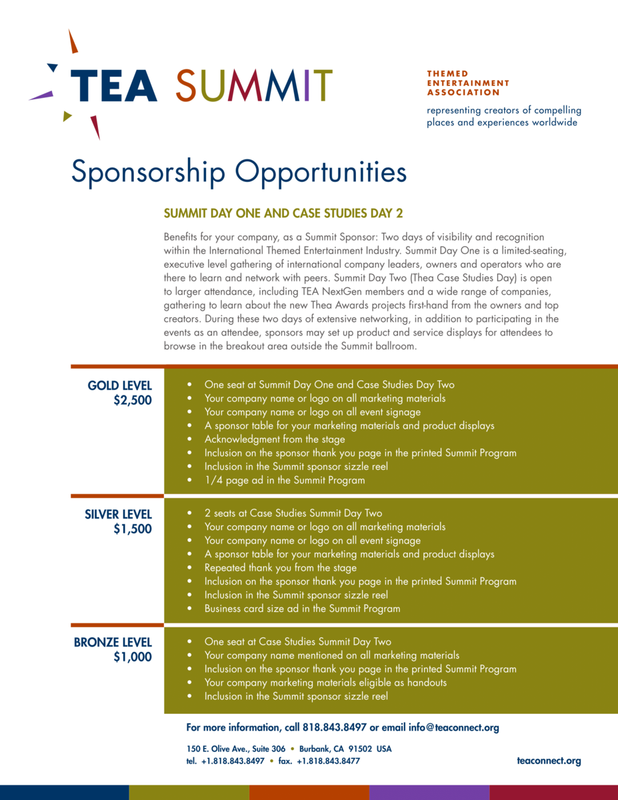 Delegates can register for one or both days of the TEA Summit, the Thea Awards Gala or the full weekend of events. Tickets/more information. 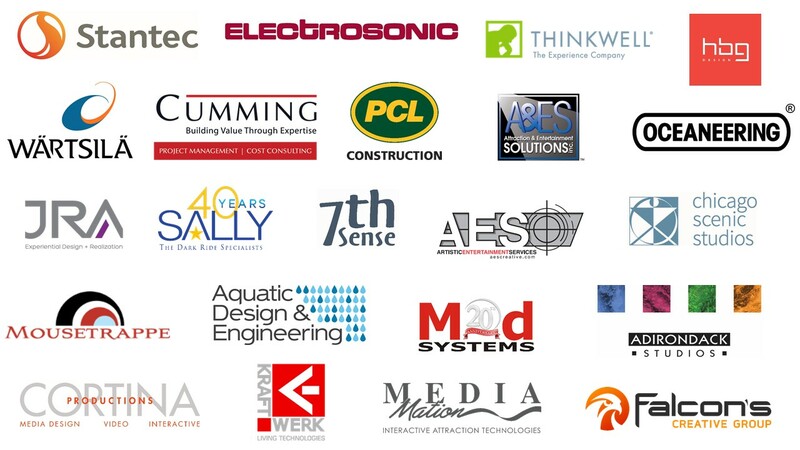 Thea Case Studies Day is a unique opportunity for revelatory, behind-the-scenes peer discussion of how these top-honored, successful projects came to be – challenges, solutions, innovations - and makes the most of the remarkable mix of industry figures who have come to town for the Thea Awards – the project owners, and the creative team that collaborated to design and realize the project and the owner’s vision, and are credited in the official Thea Awards Program. 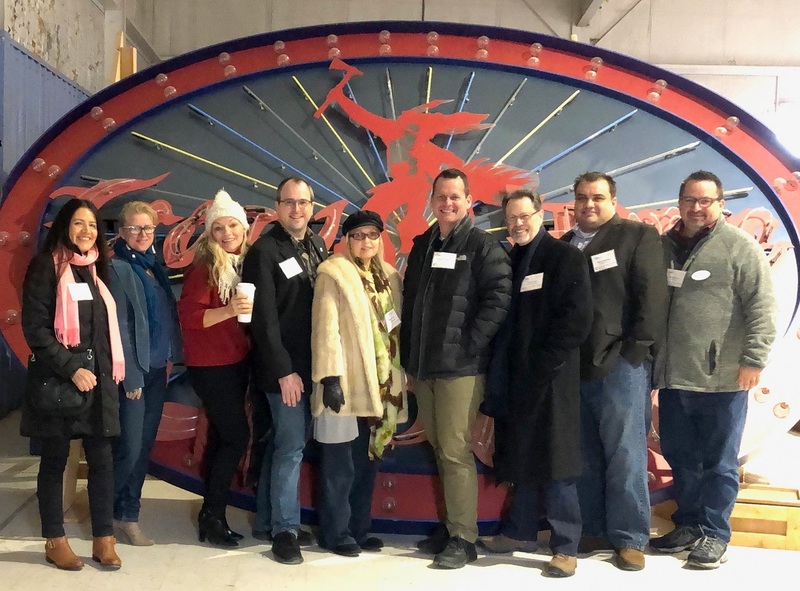 “At Thea Case Studies Day, representatives of both the owner/client side and the creative team talk about the project from their individual perspectives,” said Pat MacKay of Ones&ZerosMedia, co-chair of Thea Case Studies Day. parade at Chimelong Ocean Kingdom. “This usually results in some of the most interesting discussion about the project taking place anywhere," said Mackay. "The very process of the diplomatic negotiation, the push-pull of creative/concept/financial/political requirements … these constitute the life blood of getting the vision and the reality to opening day. 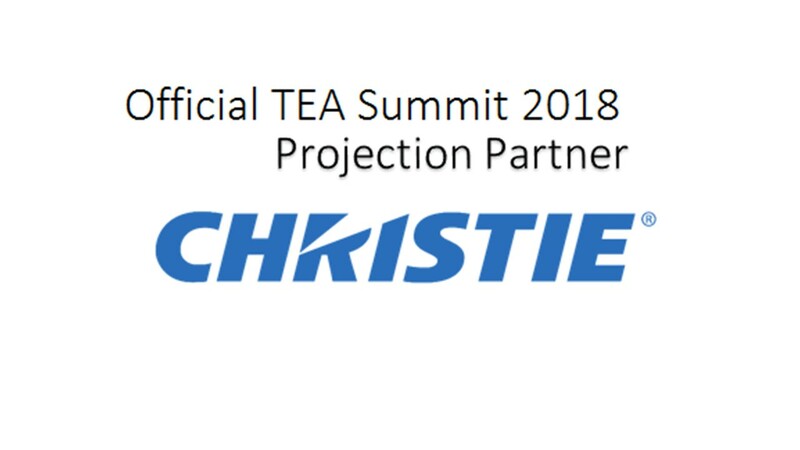 There are wise and important takeaways from each presentation that apply even beyond our industry.” Roberta Perry, SVP of Edwards Technologies Inc. and a past president of TEA, co-chairs the event with MacKay. Attendees of Thea Case Studies Day are inspired and educated as project owners and creatives share about the creative and practical challenges of bringing a project to reality, how the creative team functioned, breakthrough moments and the success of the project after opening, sometimes making a huge difference in the region or city or property. In themed entertainment, continual reinvestment is a necessity, and as a result many projects are unique, innovative, influential one-off endeavors. The work depends upon a highly collaborative team process. 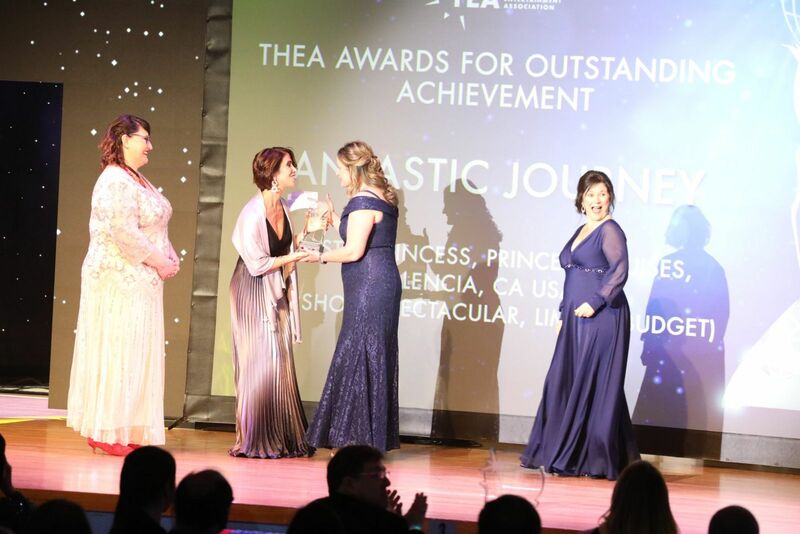 The Thea Awards and Summit are two of the ways that TEA has brought international attention to this unique industry and how it operates, along with other TEA products such as the SATE conference and the TEA/AECOM Theme Index. TEA also operates on the regional level via its four Divisions: Eastern North America, Western North America, Europe & Middle East, and Asia Pacific. More info: teaconnect.org. 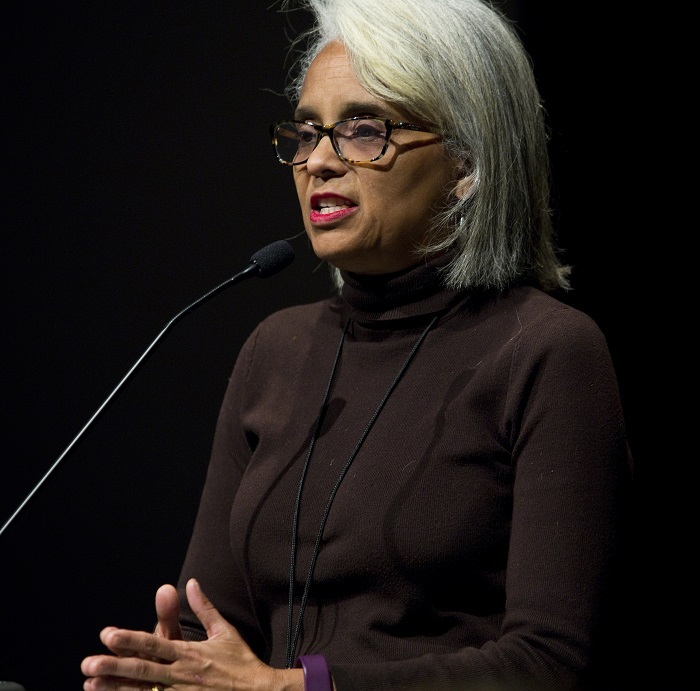 Deirdre Cross, director of public programs, National Museum of African American History and Culture - Dierdre produces a portfolio of programs that include author discussions, screenings, the performing arts, and community and academic symposia that serve a range of audiences. She is a University of Iowa graduate with a Bachelor of Arts degree in English and a Master of Arts degree in African American Studies. Bryan Sieling, assistant director for exhibition design and production and acting associate director for project management and planning, National Museum of African American History and Culture - Prior to NMAAHC opening in 2016, Bryan Sieling served as chief of design, overseeing the exhibition design process, its coordination with the base building architecture, and the fabrication and installation of the inaugural exhibitions. 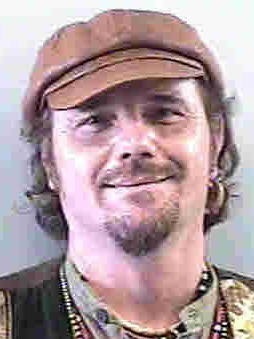 Sieling earned a Master of Arts degree in Museum Studies with a focus in exhibition design from The George Washington University in 1989. Prior to joining NMAAHC, Sieling was chief of design for the Newseum’s expansion and relocation to Washington DC. Eric Nix, producer, Knott’s Berry Farm - Eric has worked in themed entertainment for 20+ years, starting on the front lines at Disneyland Resort. As a production manager he oversaw many projects at Disneyland including: Thor: Treasures of Asgard, Mad T Party, Legends of Frontierland, and Disneyland Forever (60th Anniversary Fireworks Spectacular). At Walt Disney Imagineering, he helped with production of the live entertainment program for Star Wars: Galaxy’s Edge. 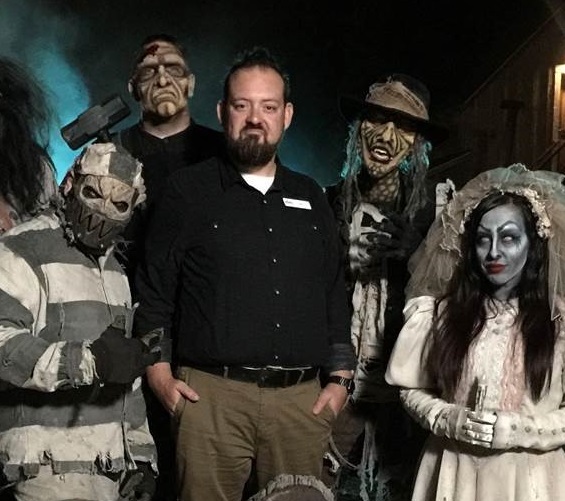 At Knott’s Berry Farm, he has worked hand in hand with Ken Parks on Ghost Town Alive!, Knott’s Scary Farm and the brand new Peanuts Celebration. Ken Parks, vice president of entertainment, Knott’s Berry Farm – Ken’s background as a Southern California based writer/director includes creating shows and experiences for internationally known entertainment companies: resident director "Aladdin: A Musical Spectacular”(Disney Hyperion Theater), resident director “Frozen Live at the Hyperion” (Disney), writer/director “The Hogwarts’ Castle Adventure” (Warner Bros), writer/director “The Hanging” (Cedar Fair), writer/director “Laughing Stock Company” (Disney), writer “The Muppets present Great Moments in History (Disney), writer “Tai Chi with Donald” (Shanghai Disney), writer “2002 Salt Lake Winter Olympics Coke Live” (Coca-Cola), writer “New York Window Atmosphere” (Universal). Raffi Kaprelyan, corporate regional vice president, Knott’s Berry Farm - (ACCEPTING THE AWARD AT THE THEA AWARDS GALA, APRIL 7) - Raffi Kaprelyan is a 32-year veteran of Knott’s Berry Farm, where he began his career in park services before moving to ride operations. Kaprelyan became a supervisor at Knott’s in 1993 and moved up the Knott’s corporate ladder, becoming assistant general manager of the park in 2005. 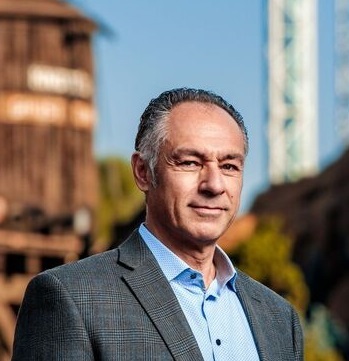 In 2006 Kaprelyan was tapped as general manager of the Cedar Fair park, Canada’s Wonderland, the position he held prior to his return to Knott’s Berry Farm in 2011. 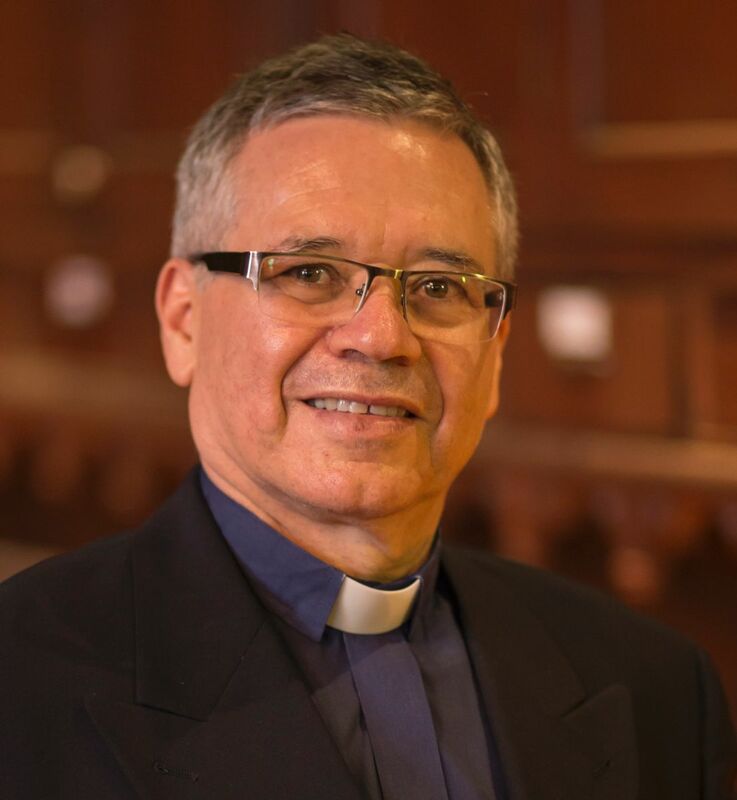 Miguel Castellanos, pastor, Notre-Dame Basilica of Montreal - Mr. Miguel Antonio Castellanos Villamil has, since 2015, been pastor of the parish of Notre-Dame de Montréal, of the parish of Saint-Jacques, and chairman of the Board of the Fabrique de la paroisse Notre-Dame de Montréal. Born in Colombia, he studied theology at the Grand Seminary in Cali. In 1985, he was ordained a priest for the diocese of Chiquinquirá, where he is still incardinated. A member of the Society of the Priests of Saint-Sulpice in Montréal, he has served the Notre-Dame Basilica since 2003. He is appreciated for his human values. Jonathan St-Onge, creative producer, Moment Factory, has 18 years’ experience working in entertainment business development, creation and operations, including a role as partner, executive vice president and executive producer at Cirque Eloize, a sister company to Cirque du Soleil. 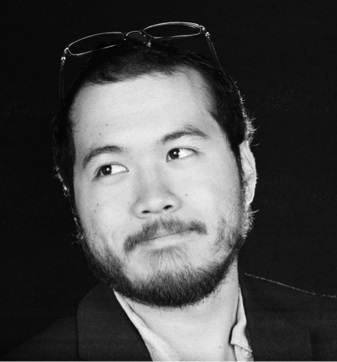 At Moment Factory, Jonathan applies his considerable practical and imaginative skills to the creation of stunning multimedia experiences. Working closely with the team and client from ideation to completion, he brings a capacity to dream big and work tirelessly to all of his projects. Jonathan is also the general manager of the Lumina Night Walk productions. Ahmad Hussain bin Essa, general manager – theme parks, DXB Entertainments PJSC With specific responsibility for Dubai Parks and Resorts, Ahmad Hussain delivers strategic counsel and overall management across Dubai Parks and Resorts, including operations, food and beverage, sales and marketing, retail and development projects. 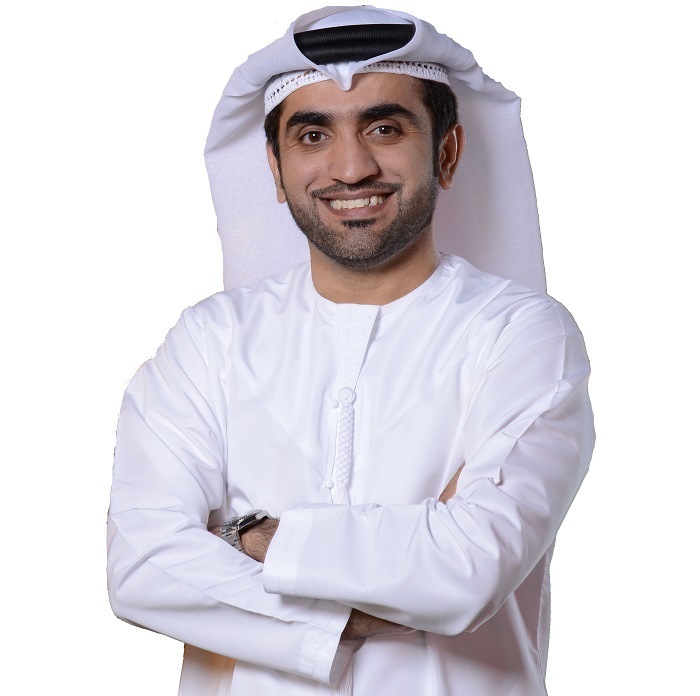 Ahmad brings extensive expertise in operations and business development within the regional theme park industry and serves on the IAAPA Board. Previously, as CEO of Global Village, he was pivotal in driving outstanding growth and expansion. He holds a degree in Mechanical Engineering from Northumbria University and an MSc in Engineering Management from Sunderland University. 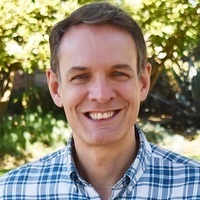 Jonathan Linn, head of global location based entertainment, Universal Parks & Resorts/DreamWorks Animation - Jonathan has overseen transactions generating over $22 billion in licensed revenues. 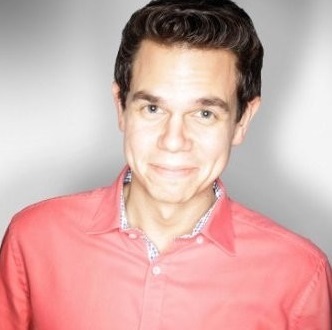 He has worked with Universal Parks & Resorts, DreamWorks Animation, Fox and Disney, on such franchises as: Trolls, How to Train Your Dragon, Kung Fu Panda, Shrek, Madagascar, Ice Age, Rio, Avatar, Aliens, Alvin and the Chipmunks, Cars, Pirates of the Caribbean, Toy Story, Ratatouille and The Lion King. Projects he has led with Universal Parks & Resorts / DreamWorks Animation include: MOTIONGATE™ Dubai; Shrek’s Adventure (London); Kung Fu Panda Academy, (Gardaland); and How to Train Your Dragon (Heide Park). 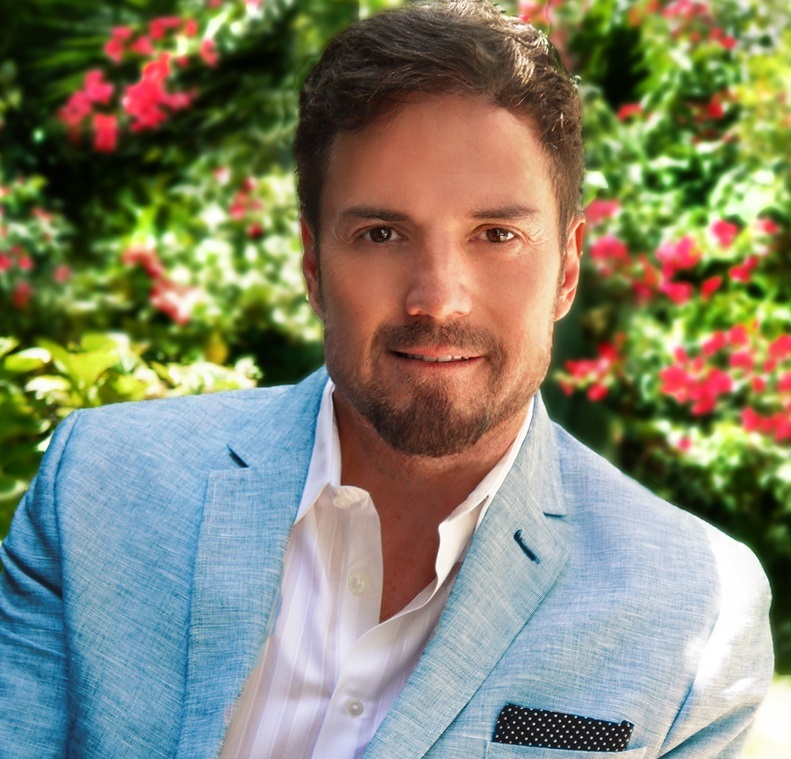 Alex Calle, CEO and CCO, Entertainment Design Corporation - EDC is an award-winning design and production entertainment firm located in Los Angeles. Using cross-disciplinary experience in film, television, theatre, live production, and themed entertainment, EDC takes projects from concept through production as: production designers | creative directors | illustrators | writers | producers. to collaborate, create, and produce projects in tandem with clients; from blue sky development to grand opening.EDC continues to immerse itself in the pursuit of fresh, inspiring, and out-of-the-box ways to ultimately wow, amuse, and entertain. Seth Cover, CEO, MYCOTOO Inc. - Seth wrangles people, time and money focusing diverse teams and disciplines to achieve a common goal. 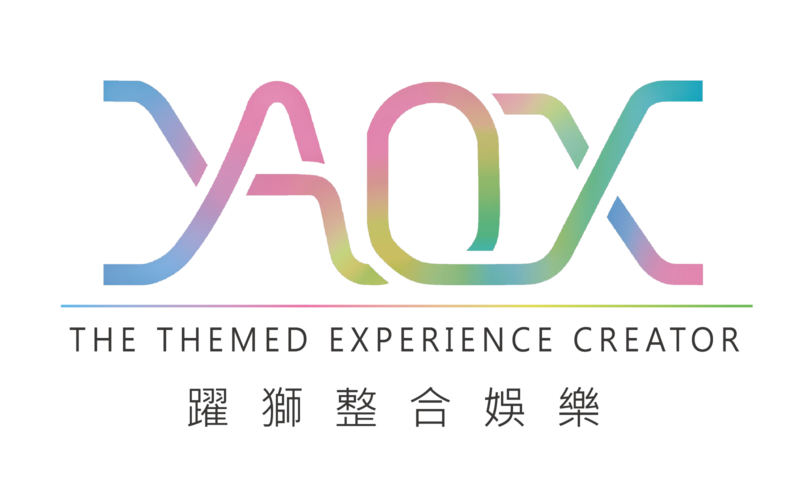 As guest experience experts, MYCOTOO produces world-class live entertainment, shows, attractions and rides for clients all over the world. As an entertainment development company specializing in location based and live entertainment, MYCOTOO's collaborative process helps developers, boards and municipalities in strategic master planning, concept development and production management. The company delivers engaging guest experiences for destination resorts of different scales. 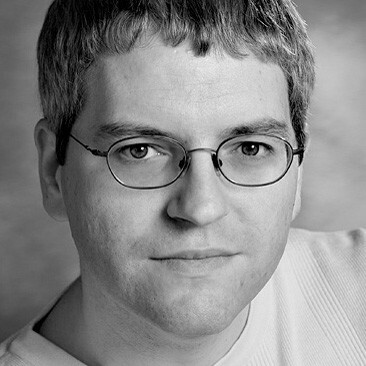 Doug Cooper, Producer, VR & Themed Entertainment at DreamWorks Animation - Doug has 20 years of experience producing Computer Graphics for Location Based Entertainment and Feature Films. He has held senior leadership roles in multiple LBE projects, and 5 "tent pole" Animated Feature films. Specialties: Conceptualizing, Feasibility Analysis, Bidding, Project Management, Artistic & Technical Supervision, Pipeline and Workflow Development. 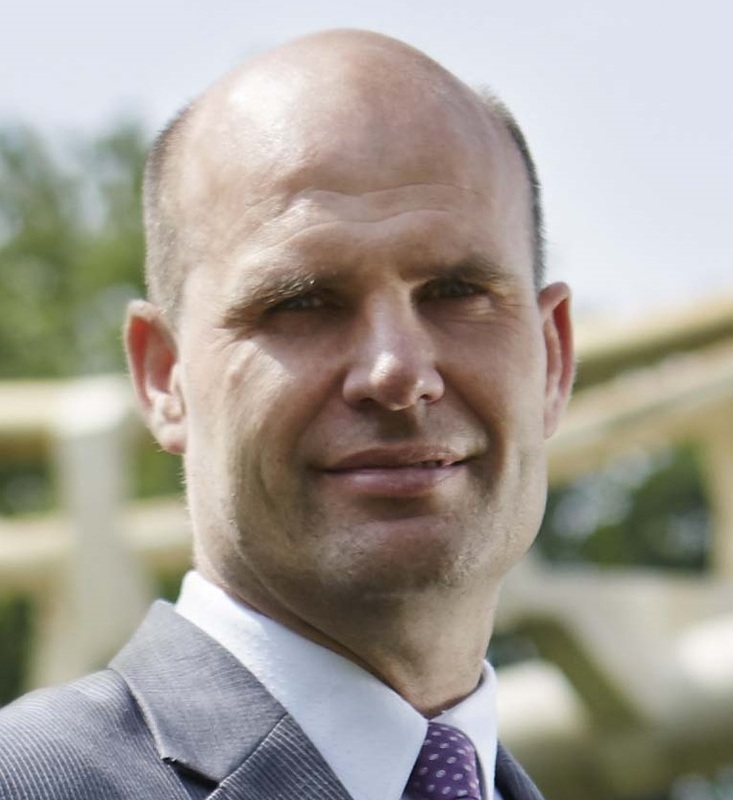 Coen Bertens, chief operations officer and member of the Board of Directors, Efteling - Coen Bertens joined Efteling in 1998, where his first position was controller. Starting in 2007, he held the position of park manager. In 2013, as assistant managing director, he became responsible for all park operations, park accommodations, events, the theatre and the golf park. 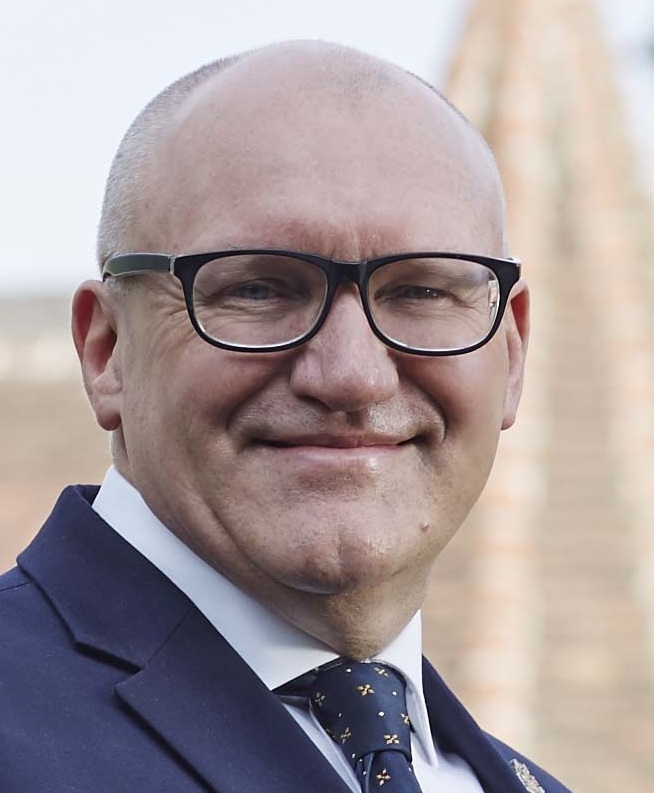 Bertens has served on the Board of Efteling B.V. since 2014, as COO. He focuses on safety, guest orientation, quality and efficiency. His motto is, "Take good care of your employees so that they can take good care of the guests!" Olaf Vugts (Mr. O.T. Vugts, MMO MBI), chief imagineering officer and member of the Board of Directors, Efteling - Olaf Vugts joined Efteling 40+ years ago as a holiday worker. 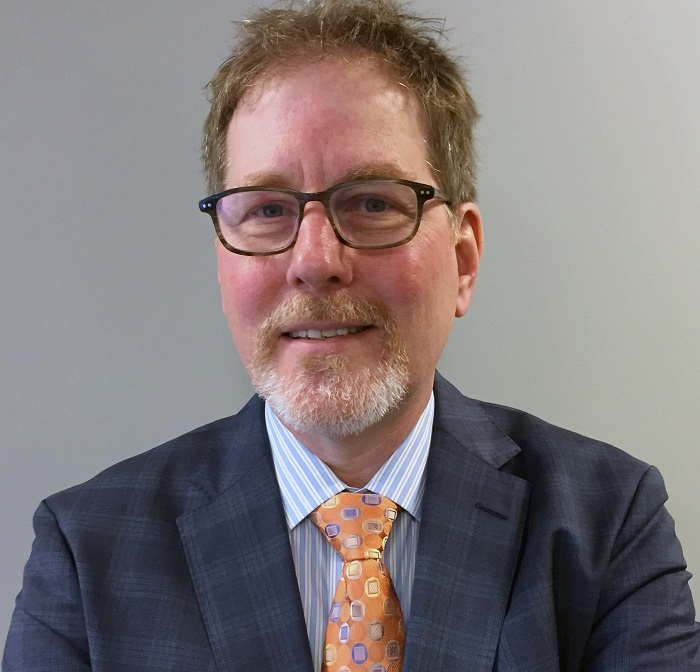 He fulfilled various management functions since 1985 in sales, marketing and communications, stepping up to CIO and a Board member in 2009. He is responsible for development and rollout of new content inside and outside the symbolic World of Efteling (park, hotel, golf park, events, theatre and media). Since 2010, Vugts has also been a special lecturer on Storytelling and Imagineering at NHTV Academy for Leisure. 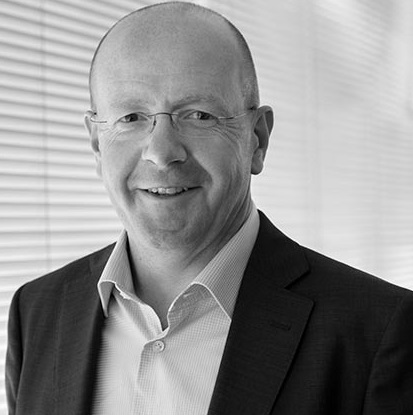 Ed Cookson, project director, Sarner International – Ed Cookson’s professional experience spans from interactive entertainment and broadcast content, to live events, visitor attractions, exhibitions and boundary-pushing immersive audience experiences. 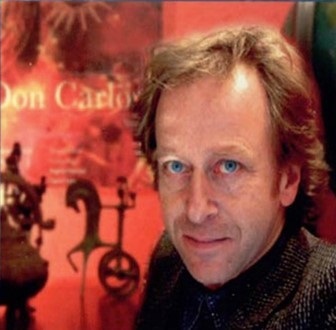 His career has been devoted to engaging audiences in experiences that combine cutting-edge technologies with a world-class creative design approach, from award-winning work for the world’s leading museum and art galleries, to major experiential components of the London 2012 Olympic and Paralympic Games. 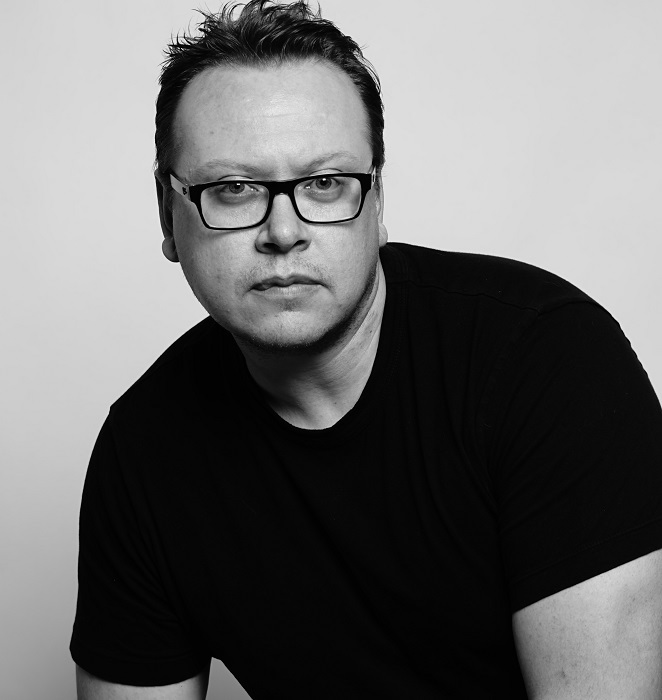 Michael Bennett, creative director, Sarner International – Mike Bennett studied at Chelsea School of Art in London where he earned his F.I.I.P. He then spent five years directing music videos and commercials before entering the fields of spatial design and historical projects, including museums, attractions and special events. 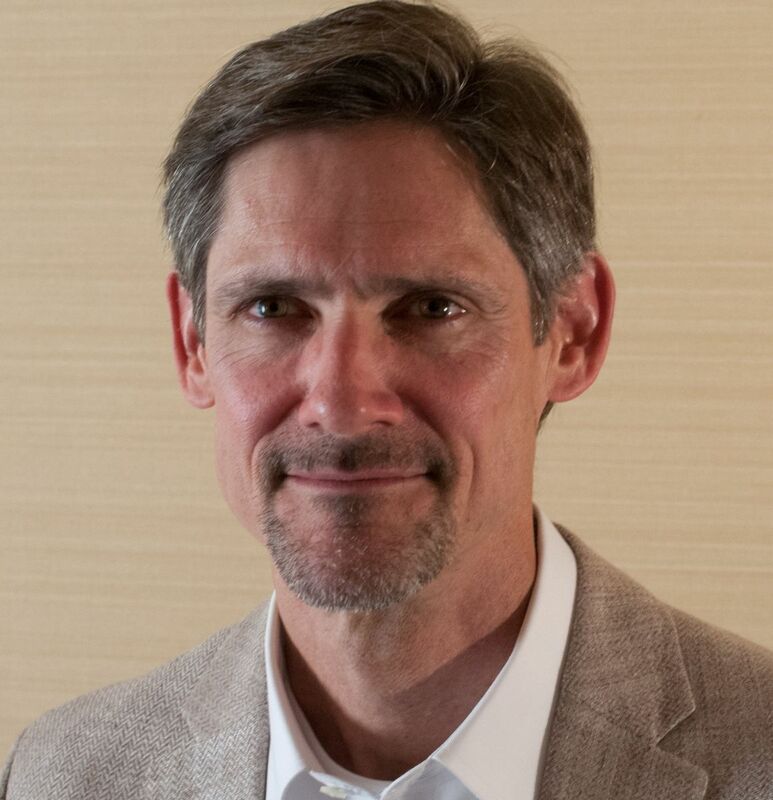 Mike oversees the design department at Sarner, steering the company’s design vision, and is recognized as one of the leading designers in this field. He is regularly invited to lecture at universities on attraction design, as well as being in demand by museums and attractions for overall critiques of their displays and exhibits. Anne Poniatowski, winemaker and owner, Mas de la Dame vineyard - Located in Les Baux de Provence in South of France, Mas de la Dame vineyard is a preserved domain in a marvelous, unspoiled environment spread over 300 hectares, including 57 hectares of vineyards and 28 hectares of olive grove. 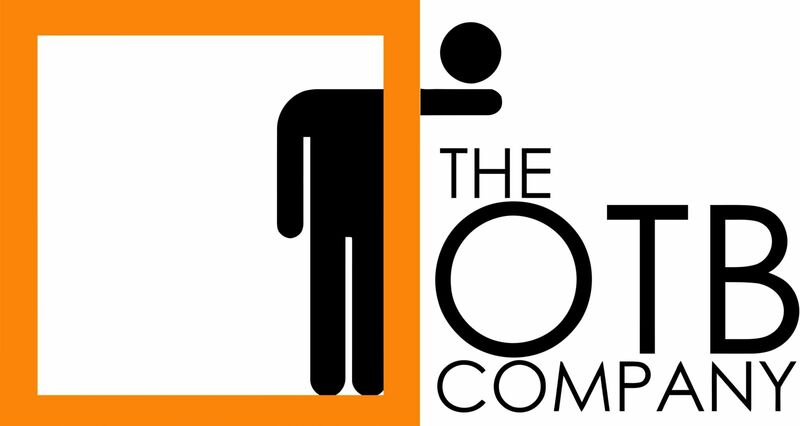 (Both productions are organic and have an AOC label). 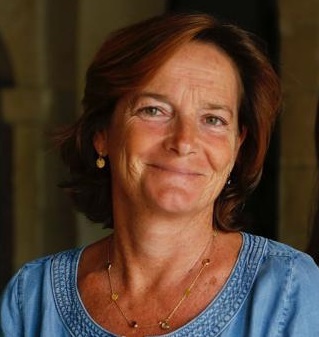 A member of the town council of les Baux de Provence, Ms. Poniatowski is in charge of promotion and communication. Her dynamic role has helped the Carrières de Lumières achieve great success. Augustin de Cointet de Fillain, chief executive of art and music immersive experience (AMIEX®) exhibitions, Culturespaces - After a career as an officer in the French Foreign Legion, Augustin de Cointet de Fillain has headed two major venues run by Culturespaces since 2013: the medieval castle of les Baux de Provence and the Carrières de Lumières, which together welcome visitation of more than 900,000 annually. In his current role since 2016, his responsibilities include development operations of AMIEX worldwide, coordination with the artistic director, prospecting for new artistic experiences, and technical upgrades. 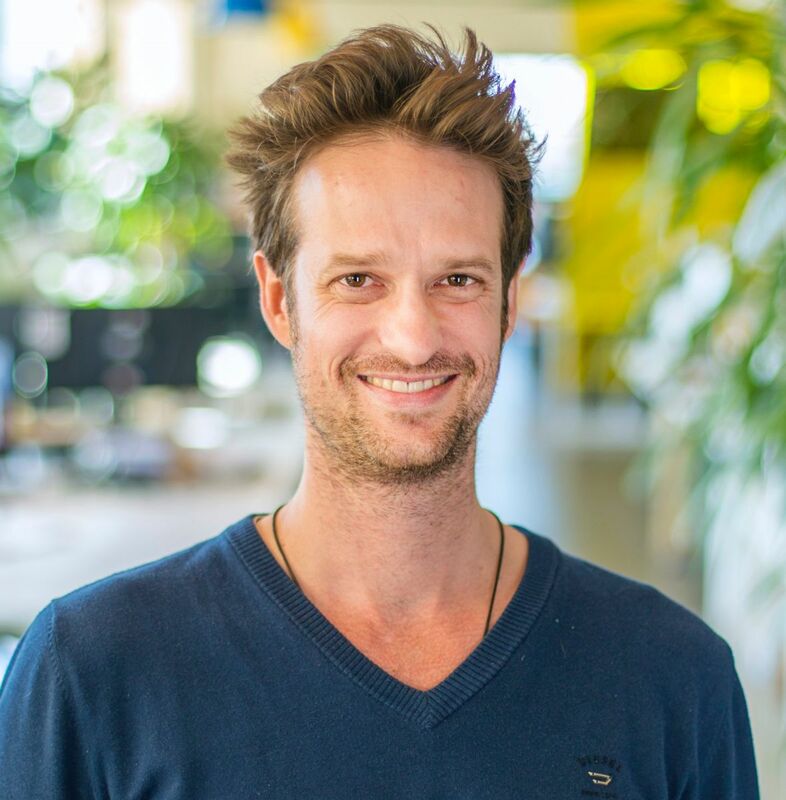 Christian Lachel, executive creative director and vice president, BRC Imagination Arts – Christian Lachel is a world-renowned expert at turning brands into destinations. He’s an accomplished creative director and storyteller who brings creativity, design expertise, business acumen and strategic direction to BRC Imagination Arts. Christian creates emotional experiences that help guests gain a deeper appreciation of themselves and the world. He has done this for some of the top destinations in the world, including the newly renovated Jameson Distillery Bow St., The Heineken Experience, The Guinness Storehouse, The Ford Rouge Factory Tour, The World of Coca-Cola and Story Garden by AMOREPACIFIC. John Carroll, project director – Irish Distillers Pernod Ricard – John Carroll is an experiential marketing & project management specialist, with extensive expertise in the design and delivery of high profile experiences and major projects for global brands; having worked both agency and client-side in Dublin & London. 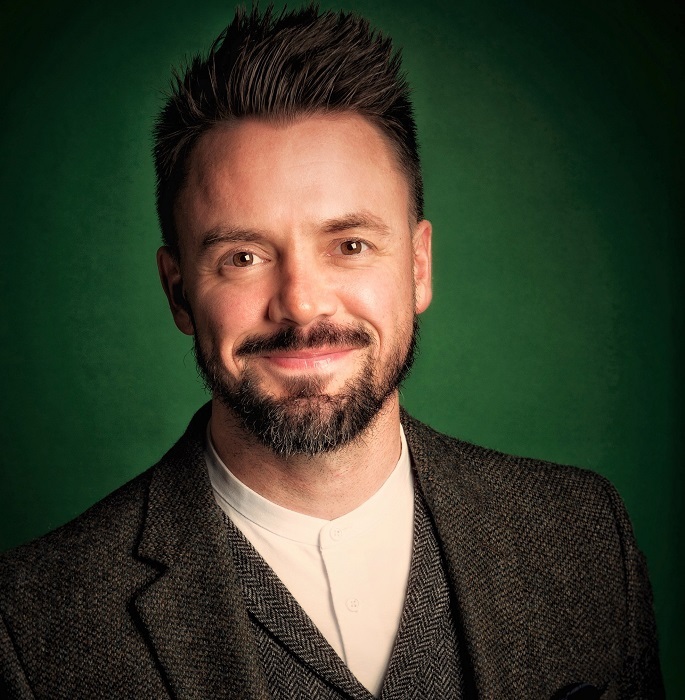 John’s marketing career spans 15 years, with the past decade spent shaping brand experiences for Jameson – working on various consumer corporate projects globally across film, music, arts & culture; fueling brand love and building advocacy. Most recently, JC was project director on the new-look Jameson Distillery Bow St. Brand Home in Dublin. 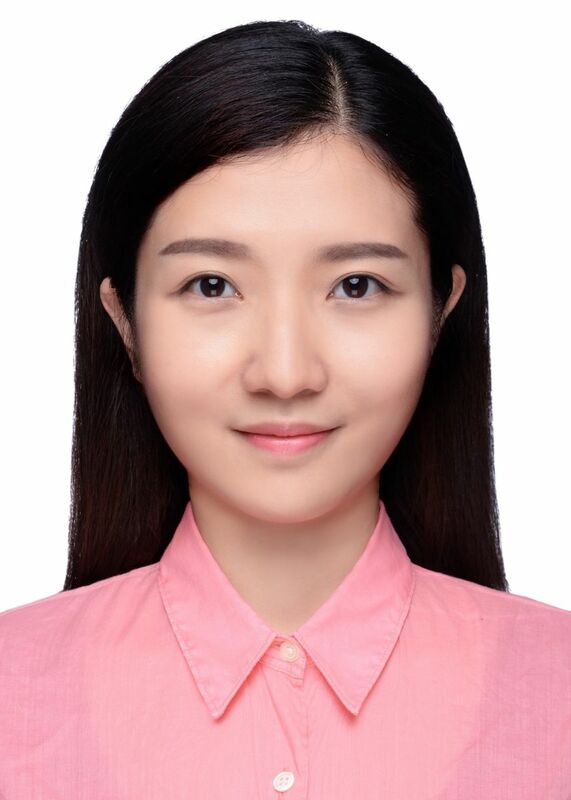 Charlotte He, senior project manager, international business department, Chimelong Group – Charlotte He oversaw and managed the Journey of Lights Parade from the creative design phase, business negotiation and procurement of all parts of the parade, to the production phase. Charlotte focuses on the entertainment sector for Chimelong theme park projects, including but not limited to circus shows, theatrical attractions, forest lighting, lagoon shows, stage shows and more. Before joining Chimelong, Charlotte was an investment banker in London. 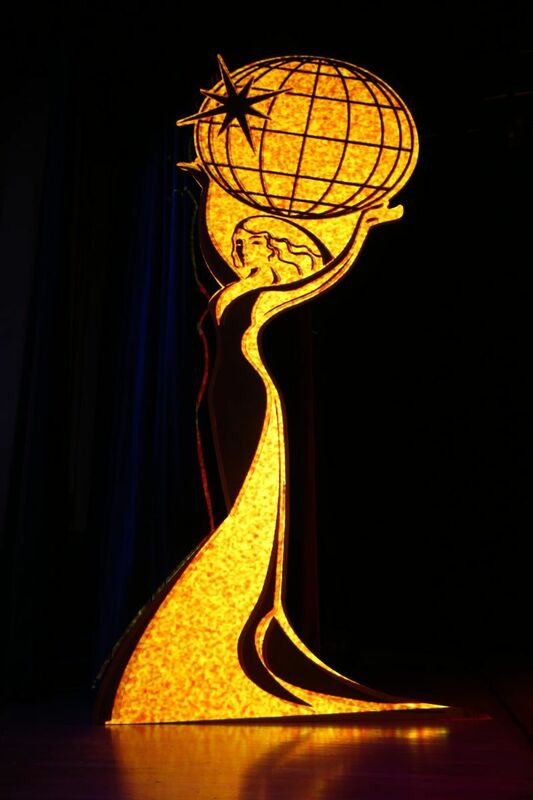 Sean Chung, project director, Miziker Entertainment – Sean Chung recently supervised and opened the celebrated Journey of Lights Parade at Chimelong Ocean Kingdom, which is receiving a TEA Thea Award. In addition to his work on parades, Sean has also worked closely with Chimelong to develop and produce their seasonal Halloween overlays: Halloween Carnival at Chimelong Paradise Park, and Beautiful Ghost Carnival at Chimelong Water Park. He is also a key team member of Miziker Entertainment’s new Más Fiesta division which is responsible for developing fun and lightweight wearable kinetic figures for parades and events. 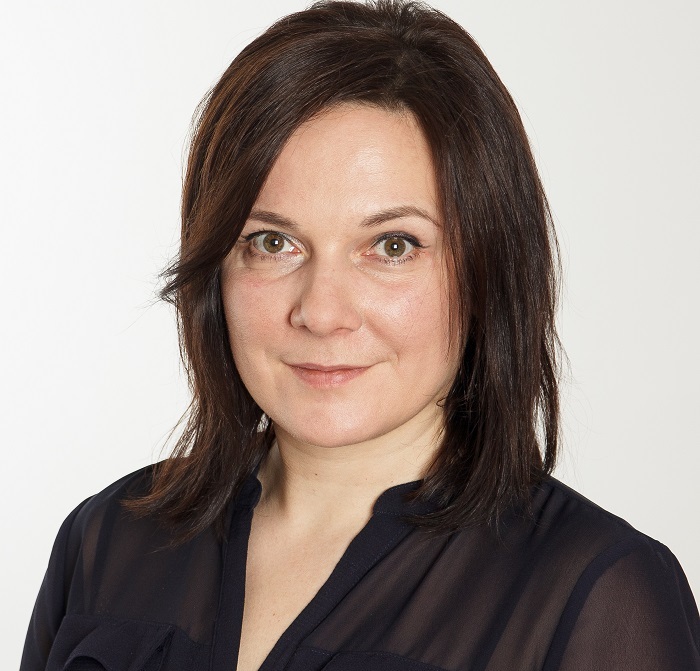 Sanita Kossovica, deputy director for planning and development, Association of Memorial Museums (Latvia) – Ms Kossovica’s primary responsibility rests in assisting the development and supervision of the Association’s five-year strategic plan, including performance oversight. She works closely with the Museum Board in fulfilling the organization’s mission, and has managed several of the Museum’s award-winning redevelopment projects. In prior work as a project lead, Ms. Kossovica has managed multimedia projects and traveling exhibitions in Europe (Latvia, Sweden, Norway, and Great Britain) and in Azerbaijan. She is a graduate of Riga Stradins University and Riga International School of Economics and Business Administration. 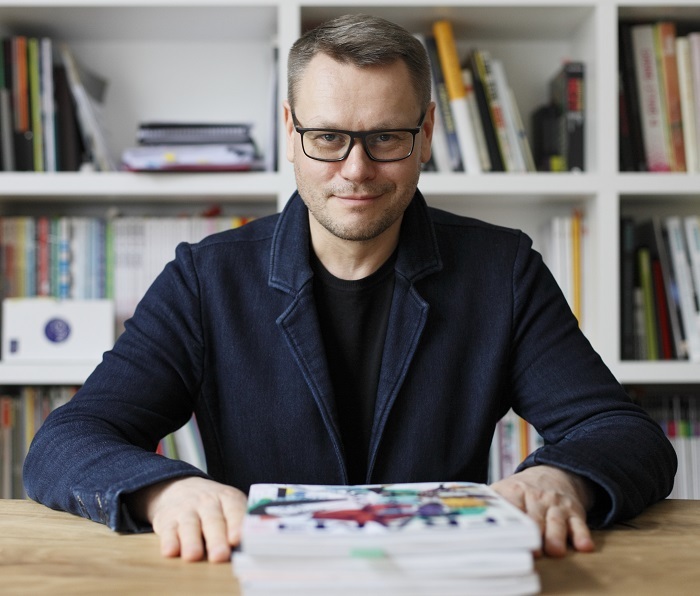 Holgers Elers, creative lead and designer, H2E Design Studio – In addition to his role at the H2E Design Studio in Riga, Latvia, Holgers Elers is a professor at the Art Academy of Latvia. He devises spatial and exhibition design strategies, concepts and creative solutions to create simple, functional and quality environments, products and services that convey an experience that shapes the long-term perception of the user. Exhibition design solutions devised by Holgers Elers and H2E have received several SEGD Awards, as well as the Red Dot Design Award and IF Design Award. Ian Crowe, director commercial, Museum of New Zealand Te Papa Tongarewa - Ian Crowe, established expert in large?scale event operations, has delivered hospitality for renowned international events including: Formula One, Lords Cricket Ground, London Fashion Week and two Commonwealth Games and, since moving to New Zealand, Rugby World Cup 2011 and his prior position as associate director commercial services at the University of Auckland. Ian and his team generate revenue to support Te Papa’s growth and sustainable business model through the effective trading of existing commercial businesses, and development of new products and services complementary to the museum’s aims and objectives. 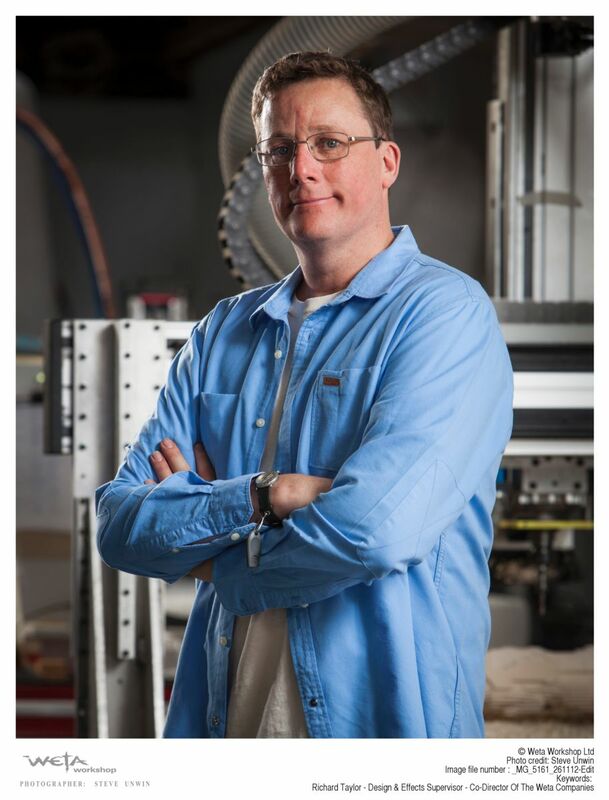 Sir Richard Taylor, CEO and co-founder, Weta Workshop - Weta Workshop is a five-time Academy Award®-winning concept design studio and physical effects manufacturing facility serving the world’s creative industries. For 20+ years the Workshop has applied creativity and craftsmanship to blockbuster films and hit television series including “The Lord of the Rings” and “The Hobbit,” “King Kong,” “AVATAR,” and “The Chronicles of Narnia.” The Workshop is also an international tourist destination, producer of consumer products, interactive studio in collaboration with Magic Leap, media production facility, and creator of immersive exhibitions. From humble beginnings, Richard and co-founder Tania Rodger built Weta Workshop into what it is today. Liz Hay, manager business & market development, Te Papa Museum - (ATTENDING AS A REPRESENTATIVE OF THE THEA AWARD RECIPIENT - NOT A SUMMIT SPEAKER) Liz Hay has been an instrumental component of Te Papa since 2000, having held leadership roles across the museum in marketing and business development, with a particular focus on Te Papa’s international relationships. 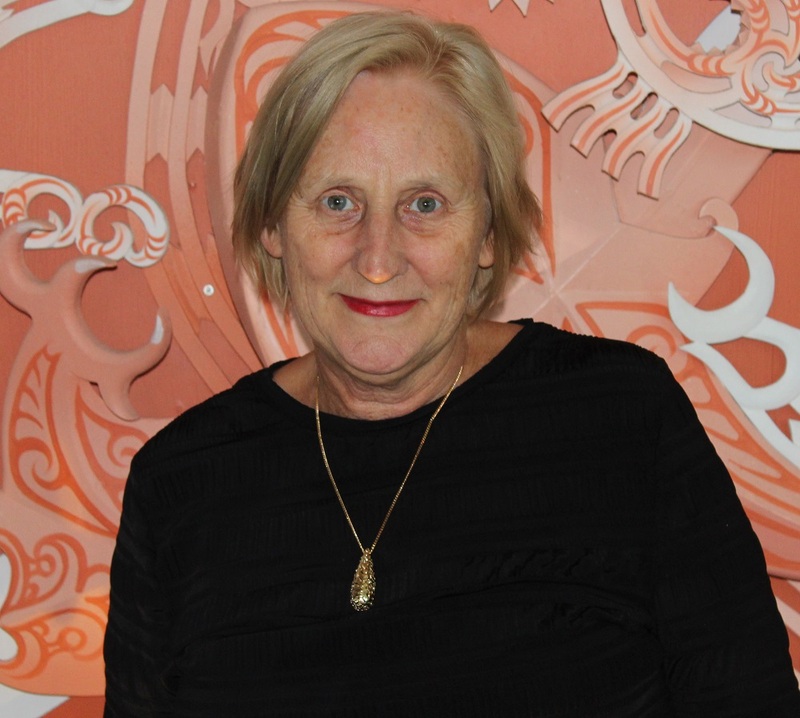 Her work showcasing the Te Papa collections, knowledge and research through touring exhibitions has contributed not only to Te Papa’s financial sustainability and global reputation, but to its mission to change hearts, minds and lives. She has been involved with development of several celebrated exhibitions, and worked closely with Weta Workshop to deliver the Gallipoli exhibition. Michel den Dulk, executive creative director, Walt Disney Imagineering - Michel Den Dulk recently led the design for Frozen Ever After, was a scenic designer for the Disney Dreams night-time spectacular and creative director for Fantasy Faire at Disneyland Resort. Before Imagineering, Michel designed theme parks and attractions in Europe such as Efteling, one of Europe’s biggest theme parks in the Netherlands, and he also designed the Icelandic-themed area and Blue Fire roller coaster at Europa-Park in Germany. Originally residing in the Netherlands, Michel attended Van Maerland College, Den Bosche, the Graphic Design College in Eindhoven, and Saint Lucas College. 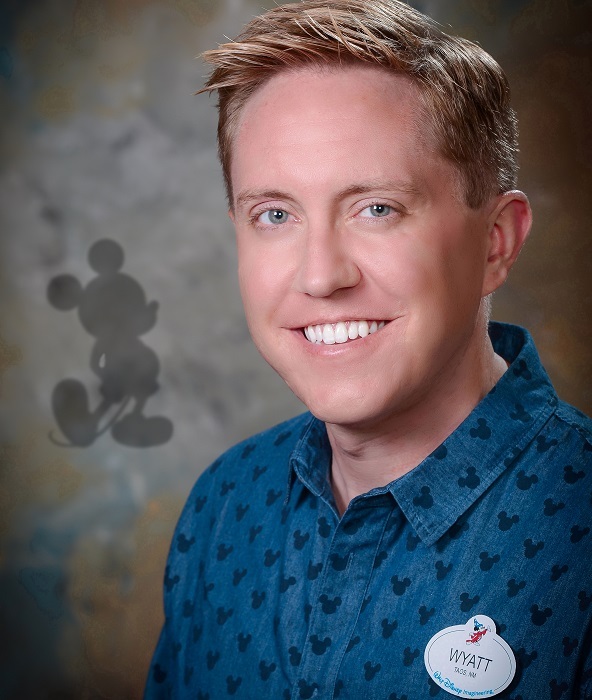 Wyatt Winter, producer, Walt Disney Imagineering - Wyatt Winter’s responsibilities include managing, planning, and overseeing the creative execution and delivery of various projects across the Walt Disney World Resort and served as both producer and project manager for Frozen Ever After. 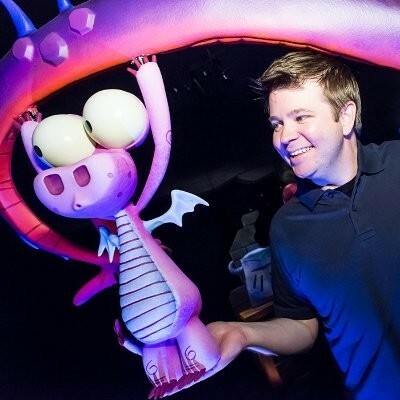 Wyatt joined Walt Disney Imagineering in 2006 after graduating from the University of Southern California where he studied Business and Architecture. Previously he held roles in Operations at both Walt Disney World and Disneyland Resorts. Various Imagineering projects have included Walt Disney Pavilion at Florida Hospital for Children, Big Thunder Mountain Railroad Scene One and Jingle Cruise. 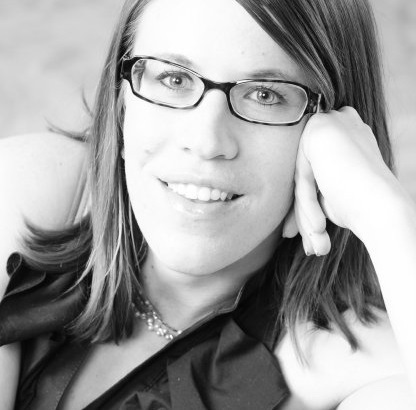 Claire Weiss, principal interior designer, Walt Disney Imagineering - At WDI, Claire collaborates with the creative team to generate and illustrate concepts, leads design development, oversees fabrication and provides overall art direction for both design and construction. Claire most recently worked on Guardians of the Galaxy – Mission: Breakout! at Disney's California Adventure. Claire aided with the design of the Shanghai Disneyland Castle, Pandora: the World of Avatar, The Iron Man Experience at Hong Kong Disneyland, and other upcoming Marvel attractions. She graduated from the University of Idaho, where she received both her bachelors and master’s degrees in Architecture. John Mauro, executive producer, Walt Disney Imagineering - As executive producer for the Marvel Portfolio, John Mauro manages the complete menu of Marvel-related projects for Disney Parks around the globe and helps ensure Marvel stories and characters are brought to life in new and exciting ways. Most recently John served as executive producer for Guardians of the Galaxy - Mission: BREAKOUT! 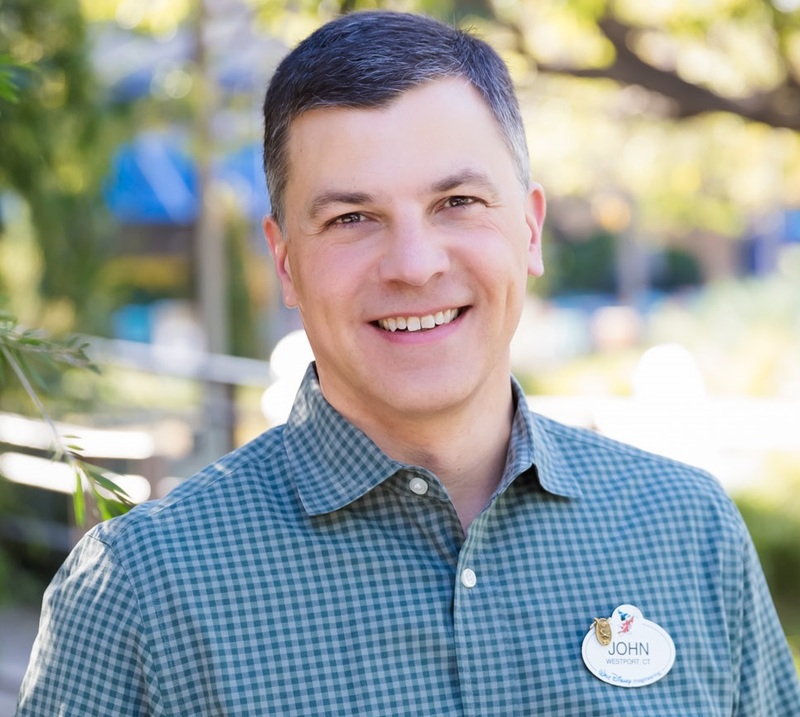 John joined Imagineering in 2007 as a hotel development manager responsible for the Disney Vacation Club addition to Disney’s Grand Californian Resort and Spa. John was also part of the Shanghai Disneyland team. He is a graduate of Boston College. 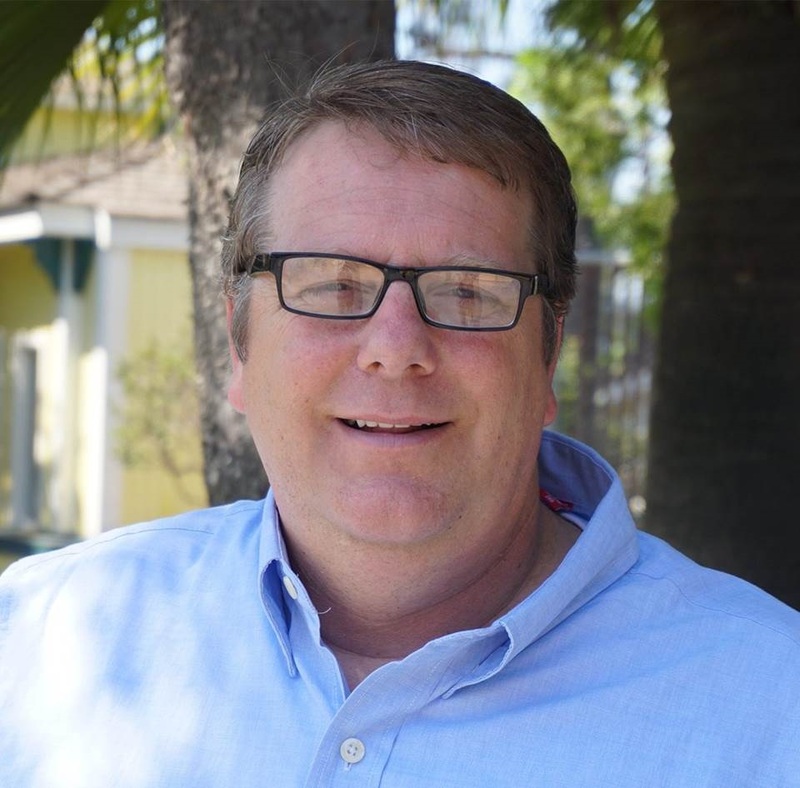 Edward B. Fritz, ride engineering executive, Walt Disney Imagineering - As a portfolio executive for Walt Disney Imagineering, Ed's responsibilities include engineering, fabrication and delivery of new rides. As ride engineering executive for Pandora – The World of Avatar, he led the design, fabrication, installation and testing of Flight of Passage and Na’vi River Journey. After joining Imagineering in 1990, Ed has been an executive leader for the Ride Mechanical Engineering team on attractions including The Great Movie Ride, Mission: SPACE, Indiana Jones Adventure and more. He is a graduate of the University of Michigan and a registered professional engineer in California and Florida. 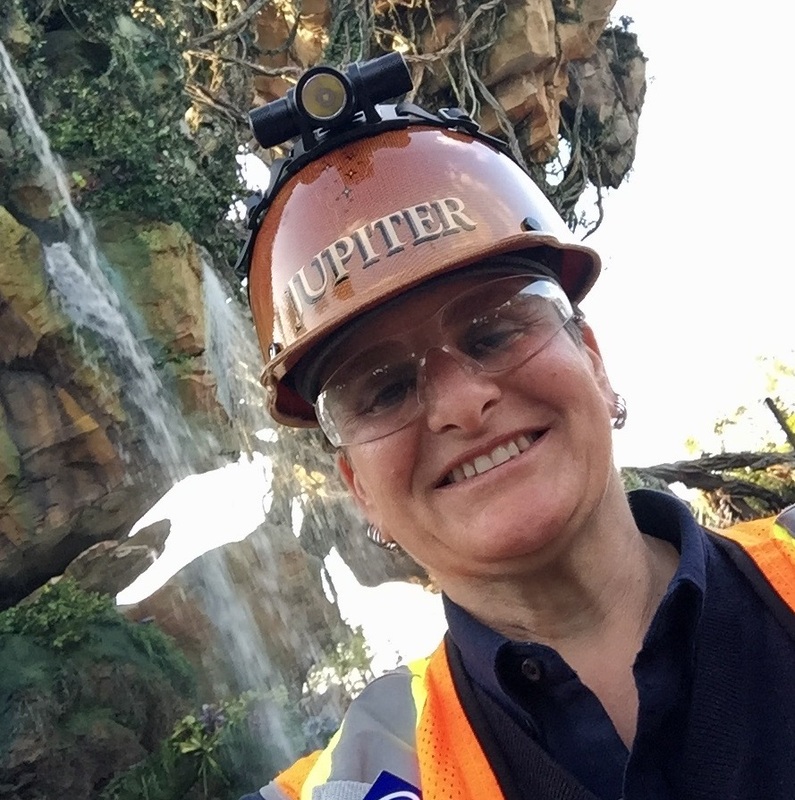 Amy Jupiter, executive producer, Walt Disney Imagineering - Amy Jupiter employs paradigm-shifting techniques to create next generation, large scale immersive attractions including Avatar Flight of Passage, Guardians of the Galaxy – Mission: BREAKOUT! and Pirates of the Caribbean: Battle for the Sunken Treasure, which received a Thea Award and VES Award in 2017. Amy has also worked in feature film and animation production. As a part of teams at Digital Domain, Blue Sky Studios, Sony Pictures Animation and Illumination Entertainment, she held various leadership roles in productions including “Apollo 13,” “Alien: Resurrection,” “Open Season” and T2 3D: Battle Across Time. 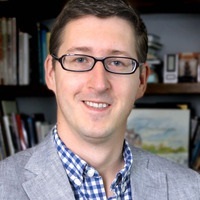 Zsolt Hormay, vice president creative, Walt Disney Imagineering - A creative executive at WDI for 15 years, Zsolt Hormay has led design and construction of projects in four major theme parks on three continents, zoo exhibits, resorts, and other settings. Zsolt specializes in rockwork, character paint, character façade and hardscape; projects include Tree of Life at Disney’s Animal Kingdom, Mysterious Island at Tokyo DisneySea, Cars Land at Disney California Adventure, and Pandora – The World of Avatar at Disney’s Animal Kingdom. 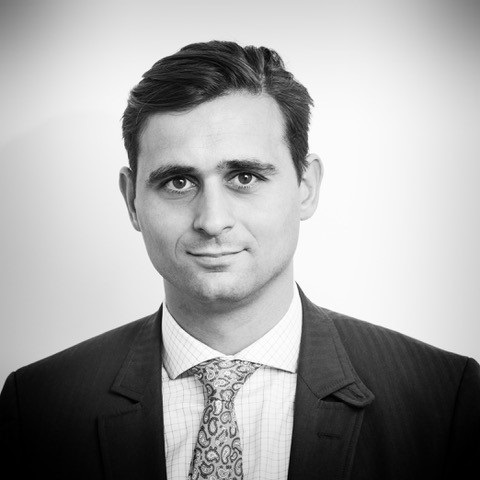 In his leisure time, Zsolt enjoys playing music on various instruments, photography, sailing, horseback riding, hockey and origami. 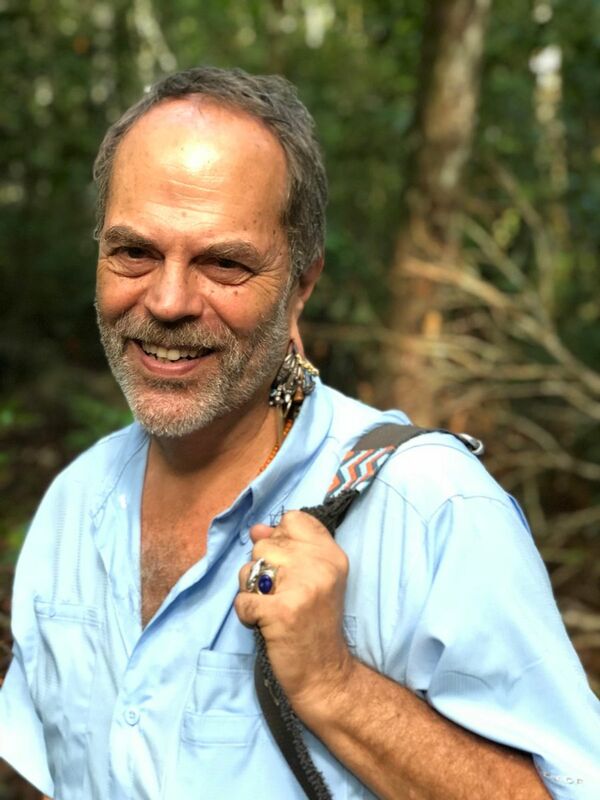 Joe Rohde, portfolio creative executive, Walt Disney Imagineering - Joe Rohde began his career as a model designer on Epcot. Joe led the team that created Disney’s Animal Kingdom, Aulani, Pandora - The World of Avatar at Disney’s Animal Kingdom, and Guardians of the Galaxy - Mission: BREAKOUT! Joe also helped create the Disney Conservation Fund, which has allocated more than $60 million to projects worldwide. His field research and personal conservation work has made him an avid adventure traveler. An adept storyteller and narrative builder, he has been invited to speak at venues around the world. 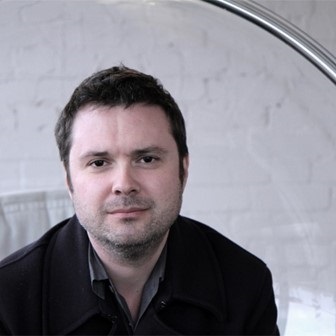 Pat MacKay, Ones&ZerosMedia – Pat MacKay founded the publishing entity that produced Live Design and the LDI trade show. 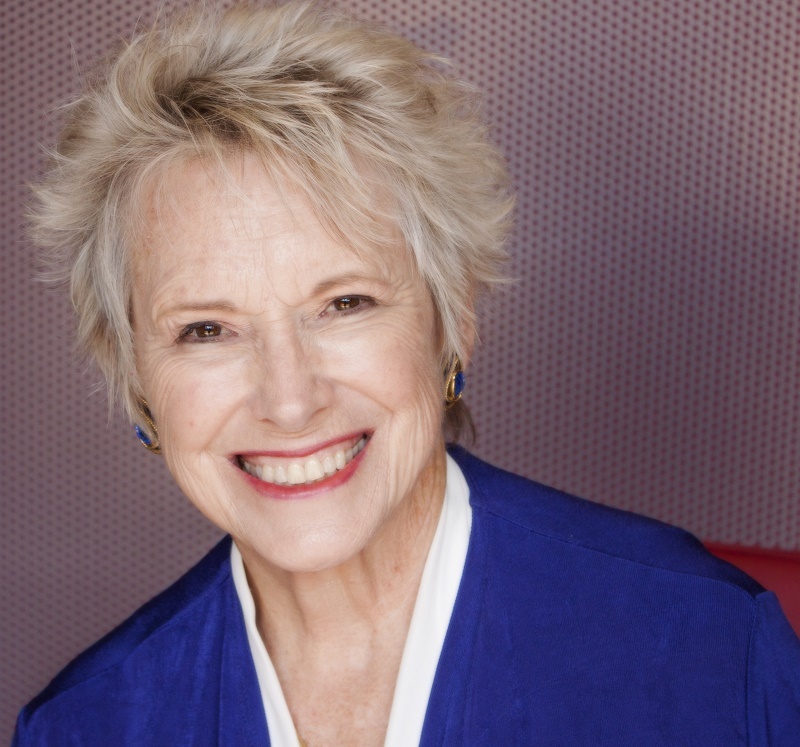 In the 1990s, she joined the Thea Awards Committee and served almost continuously through 2014. Other activities have included organizing workshops and events such as Themed Entertainment Weekends and Women in Technology meetings that focused on key issues and trends and fostered leadership. 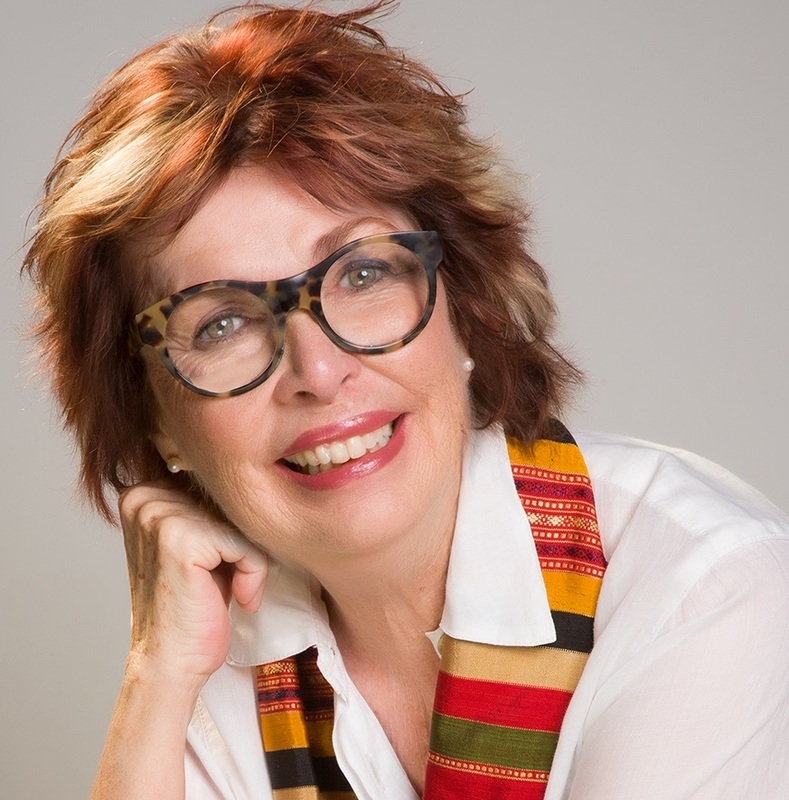 Pat was elected Fellow of the USITT in 1985 and received LDI’s Life in Light award in 2007. In 2012 she became co-chair of the annual TEA Summit. In 2015 she received the TEA Distinguished Service Award.